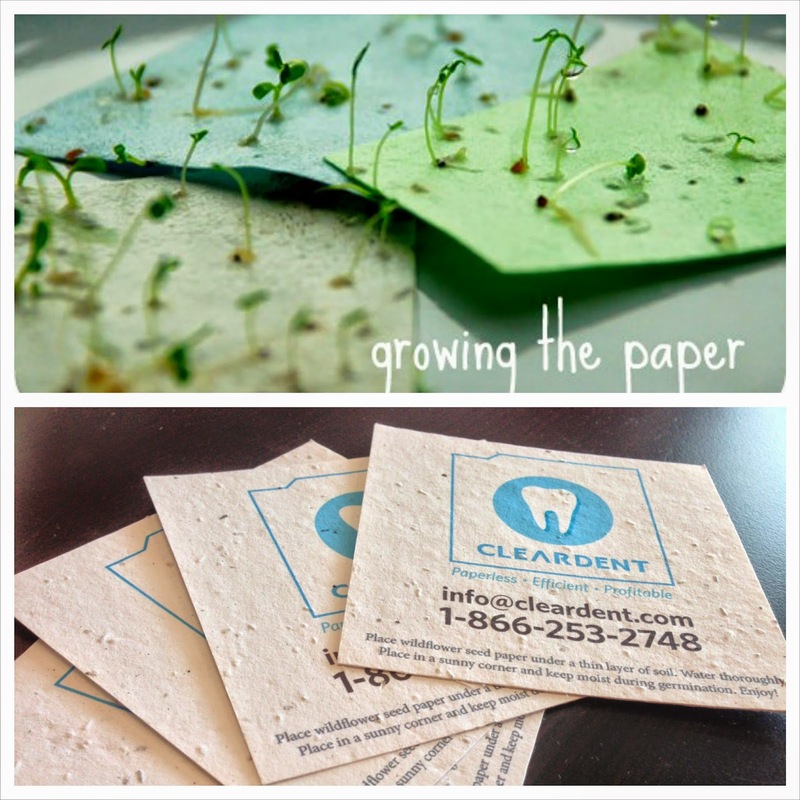 On the Earth Day 2014, the Marketing team at ClearDent came up with an idea - why not give visitors to our booth at the ODA Annual Spring Meeting something unique, elegant, and all the while eco-friendly? Rising up to the challenge - we'll have limited quantities of plantable wildflower seed paper to give away at booth 739. Come visit us and ask for the "paper," and we'll give you the seed paper in the picture above that, with some water and plenty of sunlight, wildflower will sprout in just a few days! Plant the sprouted paper wherever you like - it's the perfect gift in the spirit of the Earth Day.